It beggars belief – the town centres are on their knees and the response of Cheshire East is to raise the cost of parking! Of course they had to do something to redress their profligacy in expenditure in several other areas – such as paying off senior staff under investigation for a raft of ‘offences’ – and the astronomical costs involved in those investigations. Sadly and perhaps predictably just 296 representations were received (during the three-week consultation period) from all Cheshire East’s residents – there’s no doubt that apathy rules in Cheshire. Then again, the vast majority probably assume that their views will be completely ignored – as with the endless number of deplorable and ultimately rejected Macclesfield town centre development schemes. Additional car parks will be introduced into the car park order, meaning parking restrictions can be enforced, where needed. The cost of a residents parking permit will increase from £50 to £60 for the first and £75 for the second. Whilst a charge of £10 will be introduced for a change of Vehicle Registration Mark (VRM) or loss of parking permit. Residents who were convinced by the arguments of introducing residents parking schemes in their areas must now be wishing they’d listened to our warnings. Once the schemes are introduced residents are at the mercy of the council – who will continue to raise charges. Frank Jordan, executive director of place and acting deputy chief executive, has stated: “I would like to thank everyone who has made a representation as part of this consultation process. All the views made have been considered and this has led to some changes to the proposals that reflect the views of local communities and service users. 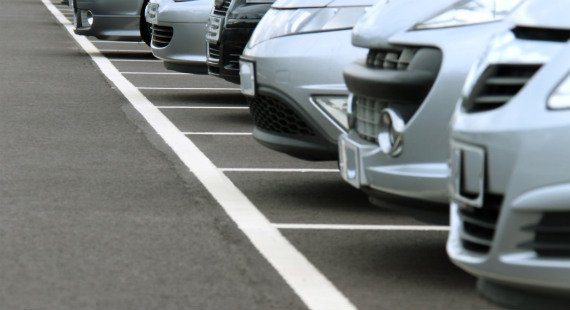 The council has also stated it is aware of the differences in parking fees across the borough and has started to review the differing costs of parking. This A local transport plan that will be published in spring 2019. ← Previous Story Have you seen Patch the lurcher?